1. ROBERT NOEL5 KIRKLEY (ROBERT4, ROBERT KIRKLEY3 SR., JAMES2 KIRKLEY, (SR.), JOHN1) was born 17 Oct 1875 in Sumter, Sumter County, South Carolina, and died 08 Mar 1957 in Claremore, Rogers County, Oklahoma. He married MERTIE BERRYHILL 01 Sep 1895 in Pine Flats, Nacogdoches County, Texas1, daughter of THOMAS BERRYHILL and LYDIA TRAWICK. She was born 26 May 1879 in Linnflat, Nacogdoches County, Tex., and died 15 Jan 1971 in Claremore, Rogers County, Oklahoma. 2. i. CLARENCE6 KIRKLEY, b. 11 Dec 1896, Linnflat, Nacogdoches County, Tex. ; d. 25 Jan 1988, Claremore, Rogers County, Oklahoma. ii. ERNEST KIRKLEY, b. 09 Oct 1898, Linnflat, Texas; d. 28 Oct 1898, Linnflat, Texas. iii. 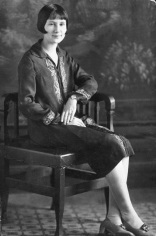 ETHEL KIRKLEY, b. 06 Oct 1899, Linnflat, Texas; d. 07 Oct 1899, Linnflat, Texas. iv. INFANT KIRKLEY, b. 12 Nov 1900, Linnflat, Texas; d. 12 Nov 1900, Linnflat, Texas. 3. v. FRENCHIE KIRKLEY, b. 30 May 1902, Linnflat, Nacogdoches County, Tex. ; d. 29 Jan 1975, Claremore, Rogers County, Okla..
vi. INFANT KIRKLEY, b. 31 Aug 1904, Linnflat, Texas (? ); d. 31 Aug 1904, Linflat, Texas. 4. vii. VIOLET BELLE KIRKLEY, b. 26 Jun 1909, Mellette, McIntosh County, Oklahoma; d. 09 May 1993, Claremore, Rogers Co., Oklahoma. viii. ROBERT THOMAS KIRKLEY, b. 23 Nov 1912, Mellette, McIntosh County, Okla.; d. 27 Jun 1913, Mellette, McIntosh County, Okla..
ix. LIDDIE MYRTLE KIRKLEY2, b. 24 Jun 1914, Mellette, McIntosh County, Oklahoma; d. 13 Apr 1932, Claremore, Rogers County, Oklahoma; m. GEORGE MAURICE STENDER, 01 Apr 1930, Claremore, Rogers County, Oklahoma. SSDI lists a George Stender under the # 446-07-7461, born April 18, 1909 and died May 1960. SS number was issued in Oklahoma. Add when proved. (January 16, 2003). 2. CLARENCE6 KIRKLEY (ROBERT NOEL5, ROBERT4, ROBERT KIRKLEY3 SR., JAMES2 KIRKLEY, (SR.), JOHN1) was born 11 Dec 1896 in Linnflat, Nacogdoches County, Tex., and died 25 Jan 1988 in Claremore, Rogers County, Oklahoma3. He married RENA MAE GILBERT 29 Jun 1918 in Eufaula, McIntosh County, Okla.. She was born 19 Sep 1900 in Nocona, Montague County, Tex.3, and died Jan 1986 in Claremore, Rogers County, Oklahoma3. Worked at a garage on 1930 Claremore Okla. census. 5. i. ALICE LIDDIE BELLE7 KIRKLEY, b. 15 Nov 1919, Mellette, McIntosh County, Okla..
6. ii. ROBERT LEWIS KIRKLEY, b. 26 May 1921, Melette, McIntosh Co., Oklahoma; d. 14 May 2006, Abilene, Texas. 7. iii. JESSE MERLE KIRKLEY, b. 14 Dec 1922, Hanna, McIntosh Co., Oklahoma; d. 01 May 2009. 8. iv. VIRGINIA MAE KIRKLEY, b. 04 Oct 1925, Claremore, Rogers Co., Oklalahoma. 9. v. DOROTHY JEAN KIRKLEY, b. 03 Jan 1928, Claremore, Rogers Co., Oklahoma. 10. vi. CLARENCE EUGENE KIRKLEY, b. 14 Jun 1930, Claremore, Rogers Co., Oklahoma. 11. vii. LETHA LEE KIRKLEY, b. 27 Jul 1932, Claremore, Rogers Co., Oklahoma. 12. viii. CURTIS LEON KIRKLEY, b. 01 Mar 1935, Claremore, Rogers Co., Oklahoma. 3. FRENCHIE6 KIRKLEY (ROBERT NOEL5, ROBERT4, ROBERT KIRKLEY3 SR., JAMES2 KIRKLEY, (SR.), JOHN1) was born 30 May 1902 in Linnflat, Nacogdoches County, Tex., and died 29 Jan 1975 in Claremore, Rogers County, Okla.3. 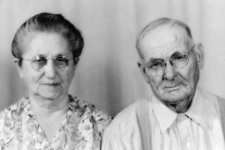 He married HALLIE MILLISA FLUD 22 May 1921 in Mellette, McIntosh County, Okla.. She was born 03 Feb 1902 in Newton County, Ark., and died 11 May 2000 in Oklahoma. 13. i. JAMES MILLARD7 KIRKLEY, b. 10 Apr 1922, Mellette, McIntosh County, Okla..
14. ii. RUTH ANN KIRKLEY, b. 19 Apr 1924, Illinois Bend, Montague County, Texas; d. 23 Jul 1993, Claremore, Oklahoma. 15. iii. ROBERT WILLIAM KIRKLEY, b. 24 Sep 1926, Illinois Bend, Montague County, Texas; d. 02 Sep 1989, Oklahoma. 16. iv. DORIS LEE KIRKLEY, b. 27 Feb 1929, Illinois Bend, Montague County, Texas. 17. v. HORACE DALE KIRKLEY, b. 25 Feb 1932, Claremore, Oklahoma. 18. vi. EVERETT LEO KIRKLEY, b. 07 Jan 1935, Claremore, Oklahoma. 19. vii. LOWELL CLYDE KIRKLEY, b. 14 Jun 1938, Claremore, Oklahoma. 4. VIOLET BELLE6 KIRKLEY (ROBERT NOEL5, ROBERT4, ROBERT KIRKLEY3 SR., JAMES2 KIRKLEY, (SR.), JOHN1) was born 26 Jun 1909 in Mellette, McIntosh County, Oklahoma4, and died 09 May 1993 in Claremore, Rogers Co., Oklahoma. She married CHARLES FREDERICK DOLLARD 04 Jul 1926 in Claremore, Rogers County, Okla., son of JOHN DOLLARD and LUVINA MCCONNELL. He was born 14 Feb 1909 in Lenox, Taylor County, Iowa, and died Feb 1994 in Claremore, Rogers Co., Oklalahoma. About 1953, Charlie Dollard was passing through Austin, Texas and telephoned the Ralph G. Kirkley family which was family to his wife, Violet Belle Kirkley. He mailed what information (typewritten family tree) he had on the Robert Kirkley family to Ralph and Mary Lee and that began Mary Lee's interest in her husband's family. The two families never met, however. 20. i. BETTY LORENE7 DOLLARD, b. 16 Sep 1928, Claremore, Rogers County, Oklahoma. 21. ii. MARGARET SUE DOLLARD, b. 27 Dec 1929, Claremore, Rogers County, Oklahoma. 22. iii. CHARLES HOWARD DOLLARD, b. 31 Aug 1931, Claremore, Rogers County, Oklahoma. 23. iv. JIMMIE FRED DOLLARD, b. 27 Dec 1933, Claremore, Rogers County, Oklahoma. 24. v. MARY LOU DOLLARD, b. 26 Nov 1936, Claremore, Rogers County, Oklahoma. 5. ALICE LIDDIE BELLE7 KIRKLEY (CLARENCE6, ROBERT NOEL5, ROBERT4, ROBERT KIRKLEY3 SR., JAMES2 KIRKLEY, (SR.), JOHN1) was born 15 Nov 1919 in Mellette, McIntosh County, Okla.. She married ROBERT WILLARD LEWIS 25 Aug 1950 in Shawnee, Oklahoma. He was born 11 Sep 1909 in Grand Rivers, McIntosh Co., Kentucky. In Claremore, Oklahoma in May of 2006.
i. MARY ALICE8 LEWIS, b. 16 Aug 1954. 6. ROBERT LEWIS7 KIRKLEY (CLARENCE6, ROBERT NOEL5, ROBERT4, ROBERT KIRKLEY3 SR., JAMES2 KIRKLEY, (SR.), JOHN1) was born 26 May 1921 in Melette, McIntosh Co., Oklahoma, and died 14 May 2006 in Abilene, Texas5. He married IDELL HARVEY6 19 Jun 1943 in Abilene, Taylor Co., Texas. She was born 17 Jan 1920 in Crystal Falls, Stephen Co., Texas. Enlisted in U.S. Army, 6 Jan 1942 in Oklahoma; was 68 inches tall, weighed 135 lbs. 25. i. DONNA GAYLE8 KIRKLEY, b. 17 Jan 1947, Abilene, Taylor County, Texas. 7. JESSE MERLE7 KIRKLEY (CLARENCE6, ROBERT NOEL5, ROBERT4, ROBERT KIRKLEY3 SR., JAMES2 KIRKLEY, (SR.), JOHN1) was born 14 Dec 1922 in Hanna, McIntosh Co., Oklahoma, and died 01 May 20097. He married PATRICIA ANN GIVENS 21 Aug 1954 in Texarkana, Bowie Co., Texas. She was born 07 Jan 1929 in Texarkana, Bowie Co., Texas. i. JANNESS MERLE8 KIRKLEY, b. 03 Sep 1955, Duncan, Stephens County, Oklahoma. 8. VIRGINIA MAE7 KIRKLEY (CLARENCE6, ROBERT NOEL5, ROBERT4, ROBERT KIRKLEY3 SR., JAMES2 KIRKLEY, (SR.), JOHN1) was born 04 Oct 1925 in Claremore, Rogers Co., Oklalahoma. She married THEADORE JOSEPH JANOS 19 Sep 1945 in Yonkers, Westchester Co., New York. He was born 11 Sep 1921 in Yonkers, Westchester Co., New York. Living in Claremore, Oklahoma in May 2006 (at time of death of her brother, Robert L. Kirkley). i. MICHAEL JOSEPH8 JANOS, b. 05 Sep 1949, Tulsa, Tulsa County, Oklahoma. ii. JONATHAN MARK JANOS, b. 29 Jul 1955, Claremore, Rogers County, Oklahoma. 9. DOROTHY JEAN7 KIRKLEY (CLARENCE6, ROBERT NOEL5, ROBERT4, ROBERT KIRKLEY3 SR., JAMES2 KIRKLEY, (SR.), JOHN1) was born 03 Jan 1928 in Claremore, Rogers Co., Oklahoma. She married WARREN GERARD (BILL) CHAPMAN 03 May 1947 in Claremore, Rogers Co., Okla., son of TROY CHAPMAN and ARTA BURGESS. He was born 10 Mar 1921 in Tahlequah, Cherokee Co., Oklahoma. i. JO ANN8 CHAPMAN, b. 31 Dec 1949, Duncan, Stephens County, Oklahoma. ii. BARBARA JEAN CHAPMAN, b. 22 Nov 1954, Pratt, Pratt County, Kansas. iii. RONNIE GERARD CHAPMAN, b. 31 Jul 1956, Pratt, Pratt County, Kansas8. 10. CLARENCE EUGENE7 KIRKLEY (CLARENCE6, ROBERT NOEL5, ROBERT4, ROBERT KIRKLEY3 SR., JAMES2 KIRKLEY, (SR.), JOHN1) was born 14 Jun 1930 in Claremore, Rogers Co., Oklahoma. He married JOAN GUNTER 25 Aug 1952 in Perryton, Ochiltree Co., Texas. She was born 20 Jun 1930 in Guyman, Texas Co., Oklahoma. i. LYNETTE DAWN8 KIRKLEY, b. 23 Jul 1954, Chickasha, Grady County, Oklahoma. ii. SUZANNE CAMILLE KIRKLEY, b. 14 Aug 1958, Hiawatha, Brown County, Kansas. 11. LETHA LEE7 KIRKLEY (CLARENCE6, ROBERT NOEL5, ROBERT4, ROBERT KIRKLEY3 SR., JAMES2 KIRKLEY, (SR.), JOHN1) was born 27 Jul 1932 in Claremore, Rogers Co., Oklahoma. She married MERVYN GENE MCDONALD 01 Jun 1951 in Claremore, Rogers Co., Okla.. He was born 04 Apr 1932 in Collinsville, Tulsa Co., Oklahoma. She is living in Corpus Christi, Texas in May of 2006.
i. GREGG ALLEN8 MCDONALD, b. 09 Jan 1956, Tulsa, Tulsa County, Oklahoma. ii. ERIC GRANT MCDONALD, b. 01 Nov 1958, Tulsa, Tulsa County, Oklahoma. iii. ELAINE GAYLE MCDONALD, b. 24 May 1963, Corpus Christi, Nueces County, Texas. 12. CURTIS LEON7 KIRKLEY (CLARENCE6, ROBERT NOEL5, ROBERT4, ROBERT KIRKLEY3 SR., JAMES2 KIRKLEY, (SR.), JOHN1) was born 01 Mar 1935 in Claremore, Rogers Co., Oklahoma. He married KATHERINE YORK 01 Sep 1955 in Claremore, Rogers Co., Okla., daughter of GEORGE YORK and CORA MILLER. She was born 03 Jul 1936 in Fredonia, Willson Co., Kansas. i. CAROL8 KIRKLEY, b. 29 Aug 1957, Okmulgee, Oklahoma. ii. TERRI LYNN KIRKLEY, b. 27 Jul 1959, Abilene, Kansas. iii. KENNETH NIEL KIRKLEY, b. 20 Nov 1961, Abilene, Kansas. iv. MARTHA PAULINE KIRKLEY, b. 11 Feb 1963, Hutchison, Reno County, Kansas. 13. JAMES MILLARD7 KIRKLEY (FRENCHIE6, ROBERT NOEL5, ROBERT4, ROBERT KIRKLEY3 SR., JAMES2 KIRKLEY, (SR.), JOHN1) was born 10 Apr 1922 in Mellette, McIntosh County, Okla.. He married (1) MARY MILDRED ANDERSON 01 May 1941 in Claremore, Rogers Co., Okla.. She was born 01 Jan 1921 in Pryor, Mayes Co., Okla.. He married (2) JEAN ELIZABETH HALL 09 Feb 1946 in Highspire, Dauphine Co., Pa.. She was born 14 Nov 1922 in Coatsville, Chester Co., Pennsylvania. His daughter, Kendra Kirkley Farnwalt signed the guest book, Nov. 26, 2008. I asked her to send additions, corrections, and pictures for the Kirkley-Family website. i. BETSY JOYCE8 KIRKLEY, b. 20 Feb 1942, Pryor, Oklahoma. ii. JIMMIE EUGENE8 KIRKLEY, b. 08 Mar 19439.
iii. KENDRA JEAN KIRKLEY, b. 04 Dec 1947, Highspire, Pennsylvania10. iv. JAMIE ELIZABETH KIRKLEY, b. 19 Jul 1957, Claremore, Rogers County, Oklahoma. 14. RUTH ANN7 KIRKLEY (FRENCHIE6, ROBERT NOEL5, ROBERT4, ROBERT KIRKLEY3 SR., JAMES2 KIRKLEY, (SR.), JOHN1) was born 19 Apr 1924 in Illinois Bend, Montague County, Texas, and died 23 Jul 1993 in Claremore, Oklahoma. She married NATHAN DEMPSEY LAMB, SR. 04 Dec 1941 in Claremore, Oklahoma. He was born 21 Jun 1916 in Fame, McIntosh County, Okla., and died 2005.
i. LARRY GENE8 LAMB, b. 16 Apr 1936, Claremore, Rogers County, Oklahoma. ii. STEVE FRENCHIE LAMB, b. 29 Jan 1943, Claremore, Rogers County, Oklahoma. iii. JOHNIE CLAUDE LAMB, b. 05 Apr 1944, Claremore, Rogers County, Oklahoma. iv. BARBARA ANN LAMB, b. 18 Sep 1948; d. 18 Sep 1948, born & died in Exeter, Tulare County, California. v. BETTY ANN LAMB, b. 02 Mar 1949, Claremore, Rogers County, Oklahoma. vi. DANNY JOE LAMB, b. 25 Dec 1952, Claremore, Rogers County, Oklahoma. 15. ROBERT WILLIAM7 KIRKLEY (FRENCHIE6, ROBERT NOEL5, ROBERT4, ROBERT KIRKLEY3 SR., JAMES2 KIRKLEY, (SR.), JOHN1) was born 24 Sep 1926 in Illinois Bend, Montague County, Texas11, and died 02 Sep 1989 in Oklahoma12. He married NORA LUCILLE MOORE 23 Feb 1946 in Columbus, Cherokee County, Kansas. She was born 28 Aug 1929 in Tiawah, Rogers County, Oklahoma, and died 25 Jul 2006 in Claremore, Oklahoma13. i. JIMMIE LEE8 KIRKLEY, b. 12 Oct 1946, Claremore, Rogers County, Oklahoma. ii. VALETA SUE KIRKLEY, b. 04 Aug 1947, Claremore, Rogers County, Oklahoma. iii. ROBERT FRENCHIE KIRKLEY, b. 29 May 1951, Claremore, Rogers County, Oklahoma; m. DEBRA _______14; b. 05 Dec 195115.
iv. ROBERT WILLIAM KIRKLEY, JR., b. 10 Mar 1957, Claremore, Oklahoma; d. 10 Mar 1957, Claremore, Oklahoma. 16. DORIS LEE7 KIRKLEY (FRENCHIE6, ROBERT NOEL5, ROBERT4, ROBERT KIRKLEY3 SR., JAMES2 KIRKLEY, (SR.), JOHN1) was born 27 Feb 1929 in Illinois Bend, Montague County, Texas. She married (1) CHARLES ABRAHAM SUMTER 18 Nov 1944 in Pryor, Mays County, Oklahoma. He was born 10 Jun 1927 in Claremore, Oklahoma. She married (2) CHARLES STENDER Aft. 1960. He died 25 Nov 1982 in Phoenix, Arizona. i. ANTHONY LEE8 SUMTER, b. 20 Feb 1946.
ii. DAVID RAY SUMTER, b. 07 Aug 1947. 17. HORACE DALE7 KIRKLEY (FRENCHIE6, ROBERT NOEL5, ROBERT4, ROBERT KIRKLEY3 SR., JAMES2 KIRKLEY, (SR.), JOHN1) was born 25 Feb 1932 in Claremore, Oklahoma. He married (1) BETTY JOE GARRISON 08 Jan 1951 in Claremore, Oklahoma. She was born 09 May 1934 in Claremore, Oklahoma. He married (2) EUNICE MARIE LYLES 25 Aug 1961 in Delta Junction, Alaska. She was born 24 Feb 1942 in Macon, Bihe County, Georgia. i. DEBRA SUE8 KIRKLEY, b. 18 Oct 1952, Claremore, Rogers County, Oklahoma16. ii. KATHY ANN8 KIRKLEY, b. 01 Mar 1960, Macon, Georgia; Stepchild. iii. WILLIAM HURSHAL KIRKLEY, b. 02 Jun 1962. 18. EVERETT LEO7 KIRKLEY (FRENCHIE6, ROBERT NOEL5, ROBERT4, ROBERT KIRKLEY3 SR., JAMES2 KIRKLEY, (SR.), JOHN1) was born 07 Jan 1935 in Claremore, Oklahoma. He married ELVA LANAELLE HANNES 20 Oct 1954 in Claremore, Oklahoma. She was born 15 Jan 1935 in Byers, McLain County, Oklahoma. 26. i. MARY CAROL8 KIRKLEY, b. 18 Jul 1955.
ii. PATRICIA LEA KIRKLEY, b. 30 Jan 1959. 27. iii. DONALD GENE KIRKLEY, b. 14 Mar 1963. 19. LOWELL CLYDE7 KIRKLEY (FRENCHIE6, ROBERT NOEL5, ROBERT4, ROBERT KIRKLEY3 SR., JAMES2 KIRKLEY, (SR.), JOHN1) was born 14 Jun 1938 in Claremore, Oklahoma. He married (1) BERNIECE DUDLEY 09 Aug 1954 in Claremore, Oklahoma. She was born 30 Jul 1939 in Inola, Rogers County, Oklahoma. He married (2) DOROTHY Aft. 1960. She died Abt. 1997. He married (3) DORIS LIEKE17 1998. Marriage Records on RootsWeb.com shows a marriage in 1967 to Tommie Sue Bennett in Bell County, Texas. Is this the same Lowell Clyde?? Also a divorce from Tommie S. 25 Jan 1969 in Bell County, Texas. i. ROBERT DALE8 KIRKLEY, b. 04 May 1958.
ii. LOWELL ALLEN KIRKLEY, b. 08 Jan 1960. 20. BETTY LORENE7 DOLLARD (VIOLET BELLE6 KIRKLEY, ROBERT NOEL5, ROBERT4, ROBERT KIRKLEY3 SR., JAMES2 KIRKLEY, (SR.), JOHN1) was born 16 Sep 1928 in Claremore, Rogers County, Oklahoma. She married GEORGE WASHINGTON KIMBALL18 22 Jul 1946 in Claremore, Rogers County, Oklahoma. He was born 11 Apr 1926 in Collinsville, Oklahoma. 28. i. RANDY DEAN8 KIMBALL, b. 17 Sep 1947.
ii. NITA LYNN KIMBALL, b. 08 Sep 1950, Midwest City, Oklahoma19. iii. SHERYL JEANNE KIMBALL, b. 18 Feb 1952.
iv. DWAYNE FOSTER KIMBALL, b. 04 Oct 1955. 21. MARGARET SUE7 DOLLARD (VIOLET BELLE6 KIRKLEY, ROBERT NOEL5, ROBERT4, ROBERT KIRKLEY3 SR., JAMES2 KIRKLEY, (SR.), JOHN1) was born 27 Dec 1929 in Claremore, Rogers County, Oklahoma. She married ROY LEE D'ORMOND20 08 Jul 1949 in Tulsa, Oklahoma. He was born 01 Oct 1929 in Collinsville, Oklahoma. i. BARBARA SUE8 D'ORMOND, b. 03 Feb 1952, Claremore, Rogers County, Oklahoma. ii. JOYCE ANN D'ORMOND, b. 05 Jul 1953, Aiken, South Carolina. iii. ROY LEE D'ORMOND, JR., b. 14 Feb 1957, Augusta, Georgia. 22. CHARLES HOWARD7 DOLLARD (VIOLET BELLE6 KIRKLEY, ROBERT NOEL5, ROBERT4, ROBERT KIRKLEY3 SR., JAMES2 KIRKLEY, (SR.), JOHN1) was born 31 Aug 1931 in Claremore, Rogers County, Oklahoma. He married SUSIE JANE WILSON21 24 Jul 1953 in Claremore, Rogers County, Oklahoma. She was born 01 Jul 1935 in Columbus, Ohio. i. MARCUS ALLEN8 DOLLARD, b. 08 Apr 1954, Claremore, Rogers County, Oklahoma. year given as 1955 in "Mary Trawick" papers. I changed it to 1954 as Marcus and Robert could not be born 4 months apart. ii. ROBERT STEPHEN DOLLARD22, b. 17 Aug 1955, Claremore, Rogers County, Oklahoma. 23. JIMMIE FRED7 DOLLARD (VIOLET BELLE6 KIRKLEY, ROBERT NOEL5, ROBERT4, ROBERT KIRKLEY3 SR., JAMES2 KIRKLEY, (SR.), JOHN1) was born 27 Dec 1933 in Claremore, Rogers County, Oklahoma. He married VIRGINIA LEE PATTERSON23 11 Jul 1955. She was born 16 Oct 1933 in Portland, Oregon. i. CLARK DAVID8 DOLLARD, b. 08 Jun 1955, Tulsa, Oklahoma. ii. KATHLEEN ANN DOLLARD, b. 07 Aug 1958, Lafayette, Indiana. iii. CAROL JEAN DOLLARD, b. 17 Nov 1959, Seattle, King County, Washington. iv. CYNTHIA LYNN DOLLARD24, b. 05 Oct 1961, Seattle, King County, Washington. 24. MARY LOU7 DOLLARD (VIOLET BELLE6 KIRKLEY, ROBERT NOEL5, ROBERT4, ROBERT KIRKLEY3 SR., JAMES2 KIRKLEY, (SR.), JOHN1) was born 26 Nov 1936 in Claremore, Rogers County, Oklahoma. She married JESSE LLOYD STARKEY, JR. 13 Jul 1957 in Claremore, Rogers County, Oklahoma. He was born 03 Oct 1930 in Harrison, Arkansas. i. DAVID WAYNE8 STARKEY25, b. 26 Nov 1959, Claremore, Rogers County, Oklahoma. 25. DONNA GAYLE8 KIRKLEY (ROBERT LEWIS7, CLARENCE6, ROBERT NOEL5, ROBERT4, ROBERT KIRKLEY3 SR., JAMES2 KIRKLEY, (SR.), JOHN1) was born 17 Jan 1947 in Abilene, Taylor County, Texas. She married RUSSELL LEWIS SOUDERS26, son of FRED SOUDERS and MARY NEECE. He was born 01 Dec 1946 in Taylor County, Texas. i. RUSSELL LEWIS SOUDERS9 JR., b. 20 Jun 1971, Taylor County, Texas27. 29. ii. ROBIN SOUDERS, b. 13 Apr 1974, Taylor County, Texas. 26. MARY CAROL8 KIRKLEY (EVERETT LEO7, FRENCHIE6, ROBERT NOEL5, ROBERT4, ROBERT KIRKLEY3 SR., JAMES2 KIRKLEY, (SR.), JOHN1)28 was born 18 Jul 1955. She married CHARLEY JAMES ELLIS JR.29. i. WILLIAM SCOTT9 ELLIS29, b. 30 Mar 1977, Grayson County, Texas. ii. JUSTIN ALAN ELLIS29, b. 28 Mar 1981, Grayson County, Texas. 27. DONALD GENE8 KIRKLEY (EVERETT LEO7, FRENCHIE6, ROBERT NOEL5, ROBERT4, ROBERT KIRKLEY3 SR., JAMES2 KIRKLEY, (SR.), JOHN1) was born 14 Mar 1963. He married ANGIE D. ______30. She was born Abt. 1953.
i. JEREMY M.9 KIRKLEY31, b. 1981, Oklahoma. 28. RANDY DEAN8 KIMBALL (BETTY LORENE7 DOLLARD, VIOLET BELLE6 KIRKLEY, ROBERT NOEL5, ROBERT4, ROBERT KIRKLEY3 SR., JAMES2 KIRKLEY, (SR.), JOHN1) was born 17 Sep 1947. He married KATHLYN LUADA EDWARDS. i. WESLEY DEAN9 KIMBALL32, b. 20 Aug 1970, Tarrant County, Texas. ii. GARY DWAYNE KIMBALL33, b. 25 May 1972, Tarrant County, Texas. 29. ROBIN9 SOUDERS (DONNA GAYLE8 KIRKLEY, ROBERT LEWIS7, CLARENCE6, ROBERT NOEL5, ROBERT4, ROBERT KIRKLEY3 SR., JAMES2 KIRKLEY, (SR.), JOHN1)34 was born 13 Apr 1974 in Taylor County, Texas. She married STEVEN PRITCHETT35 09 Mar 1996 in Taylor County, Texas36. He was born 197537.
i. JAYDEN10 PRITCHETT38, b. Abilene, Texas. 1. Texas Marriages 1851 to 1900, Ancestry.com. 2. RootsWeb.com/~dmorgan/berryhill/beryh.2.txt, Descendants of John and Elizabeth (Derrisaw) Berryhill. 3. Social Security Death Index. 4. Rootsweb World Connect Project: Taylor and Sessions Family File, ID: i2674, (February 08, 2002). 5. Obituary in Abilene, Texas newspaper, Dated May 14, 2006. 6. Obituary in Abilene, Texas newspaper, Husband Robert L. Kirkley's death in May 2006. 7. Obituary from Mary Helen Ahrens, James Horace Kirkley Reunion, May 17, 2009; Nacogdoches, Texas. 9. Mary Trawick, http://www.twmccarty.com/unadoc_trawick.html (January 04, 2003). 12. Social Security Death Index, #447-20-8030. 13. Oklahoma Obituary Collection, July 28 2006, Daily Progress (newspaper). 14. U S Public Records Index, for Debra Kirkley; added June 24, 2007. 15. U. S. Public Records Index, For Debra Kirkley; added June 24, 2007. 16. Mary Trawick, http://www.twmccarty.com/unadoc_trawick.html (January 04, 2003). 17. At Nacogdoches Reunion, May 23, 2004, Living in Temple, Texas; K & D Crafts, 1601 FM 1237, Temple, Tx 76501. 18. Rootsweb World Connect Project: Taylor and Sessions Family File, ID: i2675. 20. "Mary Trawick", http://www.twmccarty.com/unadoc_trawick.html (January 04, 2003). 21. "Mary Trawick", http://www.twmccarty.com/unadoc_trawick.html (January 04, 2003). 22. "Mary Trawick", http://www.twmccarty.com/unadoc_trawick.html (January 04, 2003). 24. "Mary Trawick", http://www.twmccarty.com/unadoc_trawick.html (January 04, 2003). 26. Robert L. Kirkley's obituary in Abilene, Texas newspaper, 2006. 27. Texas Birth Index 1903 - 1997. 28. Texas Birth Index 1903 - 1997, Although from Oklahoma branch, she is listed as mother of two sons in the Texas Birth Index 1903-1997. 29. Texas Birth Index 1903 - 1997. 30. U. S. Public Records Index, Found June 24, 2007. 31. U. S. Public Records Index, found June 24, 2007. 32. Texas Birth Index 1903 - 1997, found May 23, 2009. 33. Texas Birth Index 1903 - 1997, found May 23, 2009. 34. Obituary in Abilene, Texas newspaper, Her grandfather was Robert L. Kirkley of Abilene, Texas. 35. Obituary in Abilene, Texas newspaper, Robert L. Kirkley, died May 2006. 36. Texas Marriage Collection 1966-2002, Taylor County, Texas. 37. Texas Marriage Collection 1966-2002. 38. Robert L. Kirkley's obituary in Abilene, Texas newspaper, 2006.